Nine years ago I designed a new style of cradle box, and it is rewarding to see the idea picked up by others. Below is recent one I made is for this stunning early 20th century French fine binding. The cradle also supports the slip-case chemise which is quite fragile. 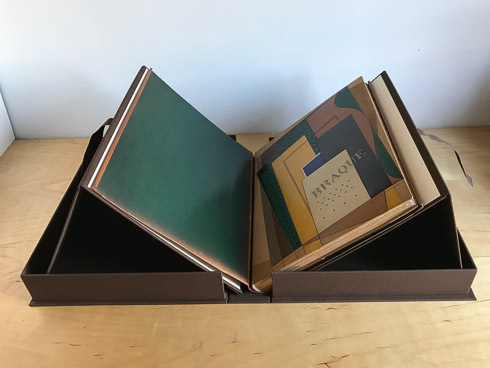 The slipcase itself is missing, or maybe it never had one. French fine binding in a cradle box. Private Collection. A variant from Trinity College, Dublin. Rehousing a fragile book of engravings at Princeton University. Display and storage for an artist book from Karen Apps. 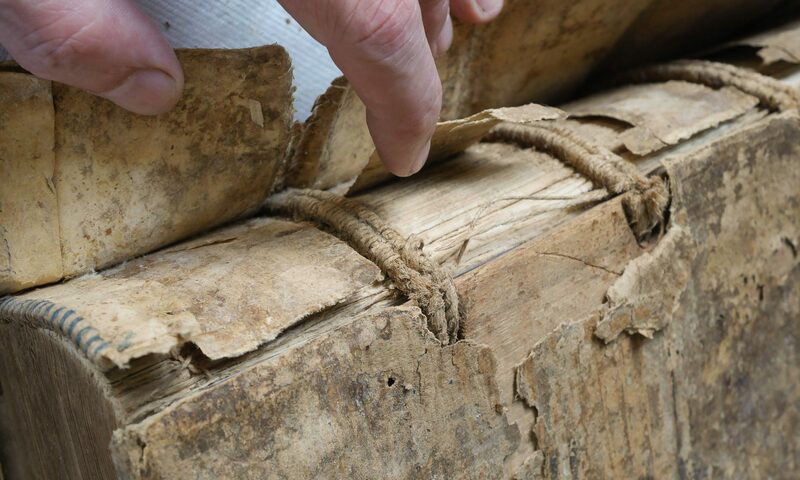 Three different types of cradle boxes on the AIC book conservation wiki. A simpler version made out of folding board. A group conservation project from Duke University, with some construction details. Previous PostPrevious Boards Bindings, Temporary?